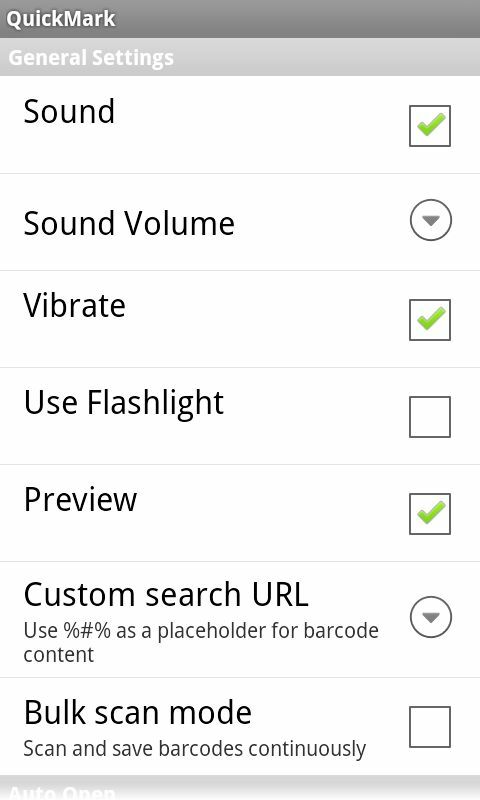 A barcode reader is an essential tool in every Android user's inventory. Looking for a barcode scanner that can take on any format? Need a lot of features to be used in conjunction with your scanner? QuickMark Barcode Scanner could just be the perfect fit. Let's take a close look and examine if this app has got the stuff. At just 1.04 MB, QuickMark Barcode Scanner doesn't exactly take up a lot of room. 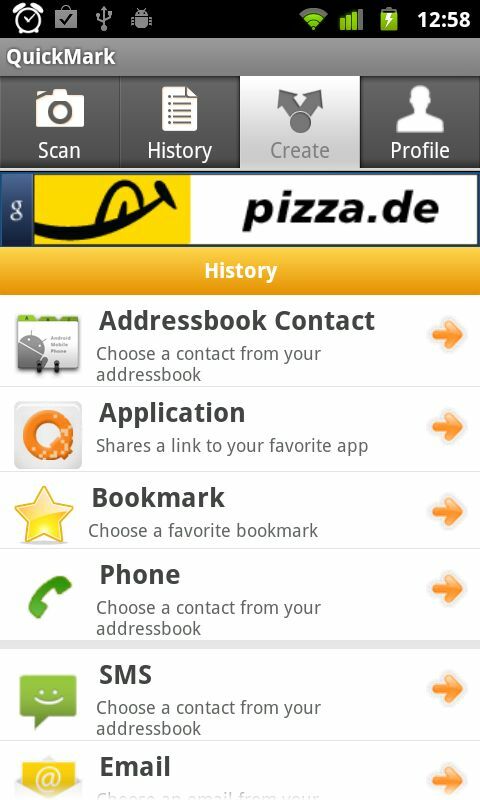 Before installation, the app does ask for permissions to a whole lot of personal information (browser history and bookmarks, access and edit contact details). But don't get suspicious because – as the developers explain – the app has the potential to scan business cards and add them directly to your contacts. Another benefit is the fact that you can turn any contact into a QR code. These guys aren' t crooks, so you shouldn't have any second thoughts about installing. 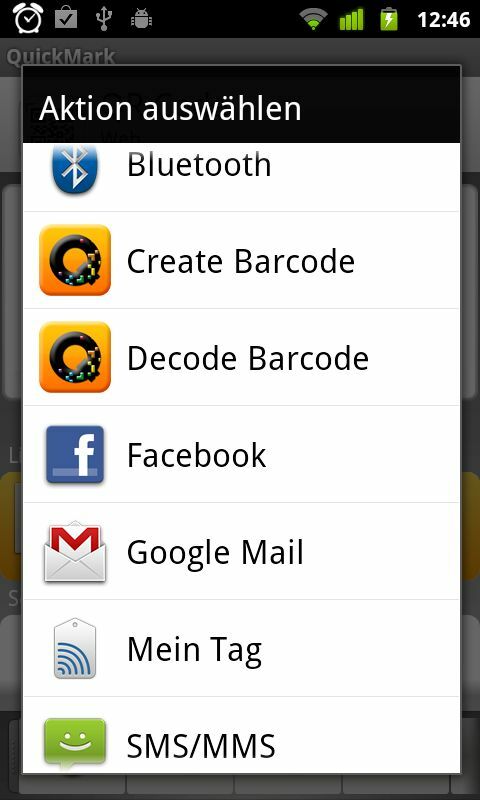 Like virtually any app or service out there, this barcode scanner also allows you to create a custom profile, but it's kind of unnecessary to be honest. Alright, so you line up the barcode just perfectly, press the shutter button...and then you hear god awful sound. The shutter sound actually sounds like a squirrel with hiccups and is just about the ugliest thing I've ever exposed my ears to. So spare yourself the trauma and make sure to TURN OFF the sound before you start scanning. Once the barcode has been recognized, there are several things you can do with it. You can ever open the page directly in the browser, save it as a bookmark or share it with others (via Bluetooth, as a new barcode, email, Facebook, SMS and NFC tag). I've made a point of going down the list and trying out every option, and I must say that the app works wonderfully! Seriously, I am legitimately impressed at how efficient and fast this scanner is. As we all know no one's perfect and this app is no exception. Personally, I found the ads to be extremely annoying and they really get in the way. 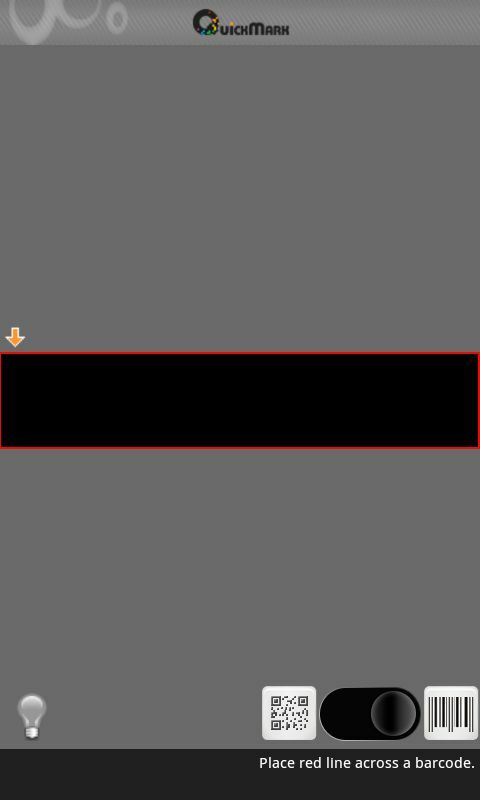 You're constantly opening the ads on accident, which is great for the developer, but is frustrating for regular mortal users like myself. Everyone needs to make their money, but isn't there a way to make the ads a bit less intrusive? In terms of features, the app is almost a bit of an overkill because frankly I'd never heard of half of these formats before I tried this app. The QuickMark Barcode Scanner is an all-around scanner with every possible function. For anyone that works with different QR format, QuickMark is the fastest and most reliable app. Visually QuickMark Barcode Scanner looks fine, but as I already mentioned the ad placement is an eye-sore. The controls are easy enough, but the huge number of functions can be a bit overwhelming for regular users that just need a simple barcode scanner. In terms of reliability, QuickMark Barcode Scanner hits the spot. Good speed and no problems to deal with. Who doesn't like good apps for free? You will, however, have to come to terms with the near-constant ads. But like most things in life, it's a question of getting used to them. If you use QuickMark Barcode Scanner on a regular basis, you'll stop registering that the ads exist in the first place. wow, but it seems not be used for smartphone ? 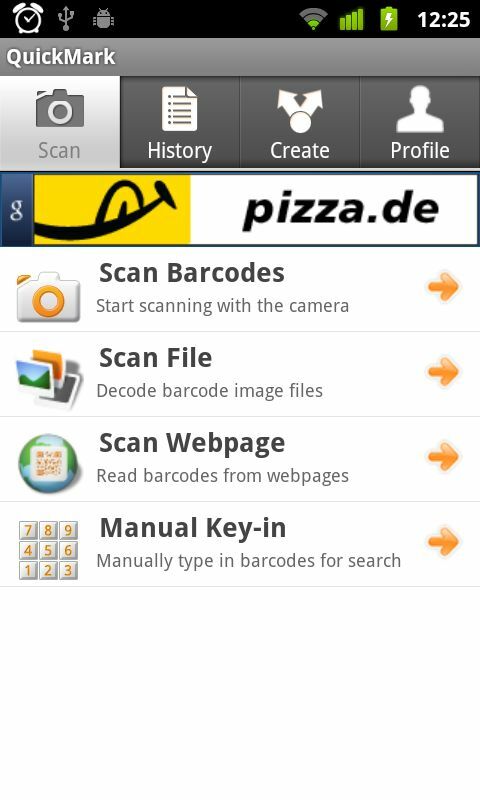 just as the one i found on google for barcode scanner app? Like this and share it on my twitter. It could scan the barcodes like QR Code I was generated using ASP.NET or Winforms.